It's been one year since the excellent Street Lottery dropped, and everybody's favourite coke-peddling Atlantan has returned for a sequel. The aptly-named Street Lottery 2 doesn't appear to have another "Columbia" on precursory listens, but there are gems littered throughout: the Future-assisted "Nuttin About It" and "Roadrunner 2" have been in rotation on my playlists of late. Barring a few clunkers - well, mainly "My Boys" - this is another solid tape, and it certainly whets the appetite for Scooter's debut proper, which should see the light of day before the year is up. 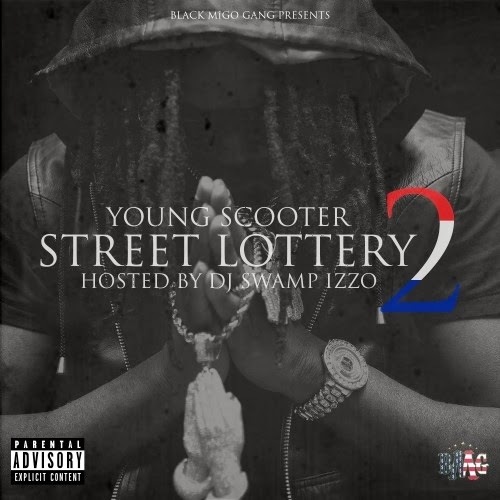 Stream and download Street Lottery 2 below, courtesy of DatPiff.